Last month I celebrated my 29th birthday. I know that I have been talking about that a lot lately. It's due to the fact that 1. I can't believe I'm going to be thirty and 2. There are a lot of things that I want to accomplish during this last year. I feel like I'm running around with a ticking clock. The truth is, I'm scared of getting older. Now I know what you might be thinking... wow, thirty sounds so old or thirty is still so young depending on what age you currently are right now. I used to think thirty sounded so "grown up" while I was living my life as a vibrant fresh faced teenager. Now that I'm headed that way, I can tell that my body is wanting to age just a tad but my heart and soul feel like I should still be 18. On another note, I just really can't believe that I am older than all the girls on the Bachelor! During my teenage years, I struggled with a little bit of acne. Nothing too extreme or that I couldn't handle. I would have the occasional breakouts. As soon as I hit 29 it was like my body threw me for a loop. A little bit of adult acne had been thrown my way. I really didn't sign up for this! The years prior I was pretty much still fresh faced. Now, I feel like I have to put a lot more effort into my skin care to even have a "glow" for the day. I really don't know what went wrong! Oh wait yes, time flew by and I've aged another year. Fast forward through high school and my skin changed a little. It wasn't oily anymore. It had morphed into dry and super sensitive. I'm talking about the kind of sensitive that if it said that it didn't have fragrance in the product but it still had an aroma to it, then it made my face breakout. My skin became dry and I still to this day struggle to maintain moisture in my skin. Now, I may be able to blame a small part of the stress of motherhood on my dry skin but in reality I'm going to have to accept that we all can't look young forever but we can do everything that we can to help. 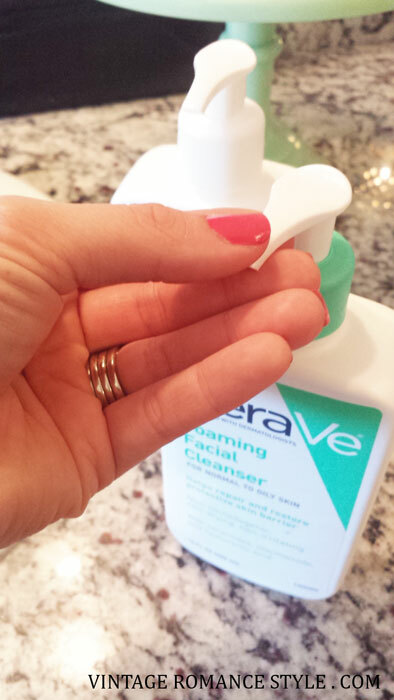 After cautiously trying tons of different skin care products, I took the plunge and decided to try out CeraVe. My sister's dermatologist recommended it for her. She always used it but I never really took the time to stray from what I had until this year! 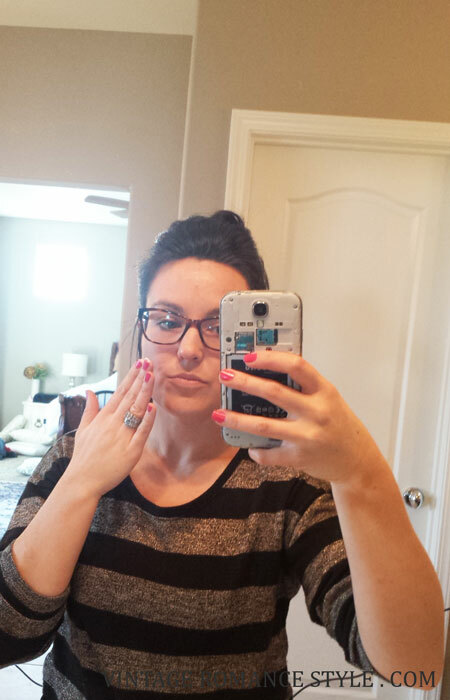 The past few months I had been on the hunt for some new moisturizer and just an overall new skincare routine. Something that wouldn't make me break out that wasn't greasy after it was applied and actually moisturized my very dry skin. So, I headed to my local Walmart and browsed their skin care aisle. 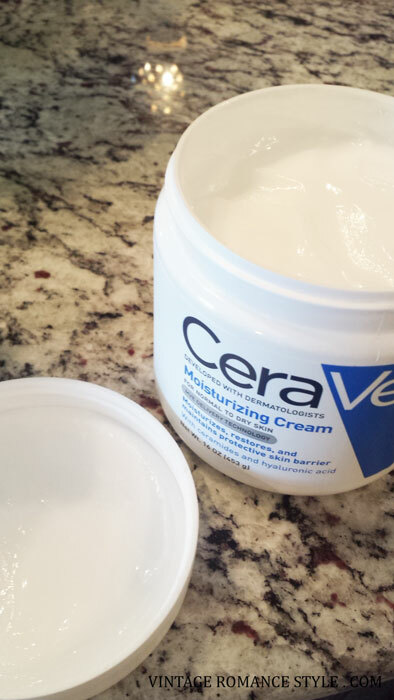 They had a big display of CeraVe and since my sister raved about it all these years I decided to try it out. They actually carry it in two different sections. 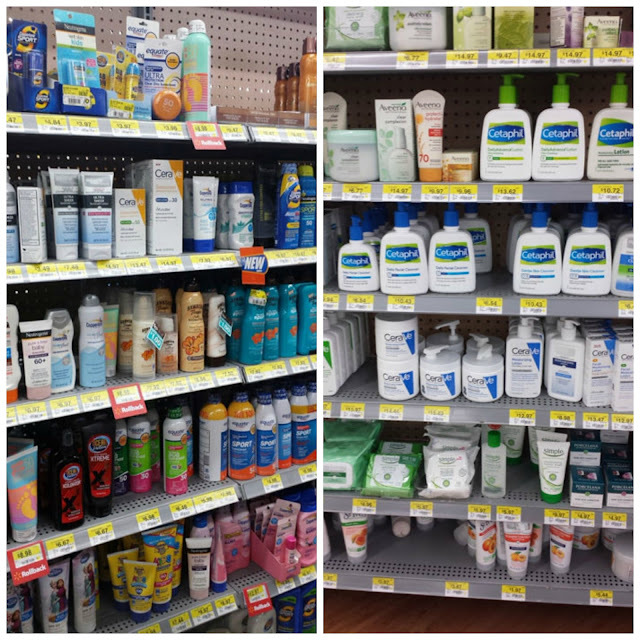 One in the face wash/ face care aisle and some in the sunscreen aisle. - CeraVe Moisturizing Cream which moisturizes and helps restore the protective skin barrier, with vital ceramides. -CeraVe Hydrating Cleanser: Removes dirt, oil and makeup as ceramides and hyaluronic acid moisturize, soften, and help repair the skin barrier. -CeraVe AM Facial Moisturizing Lotion which moisturizes and provides broad spectrum sun protection. -CeraVe Sunscreen Face Lotion SPF 50 that provides broad spectrum, lightweight sun protection plus vital ceramides. All of that sounds amazing right? 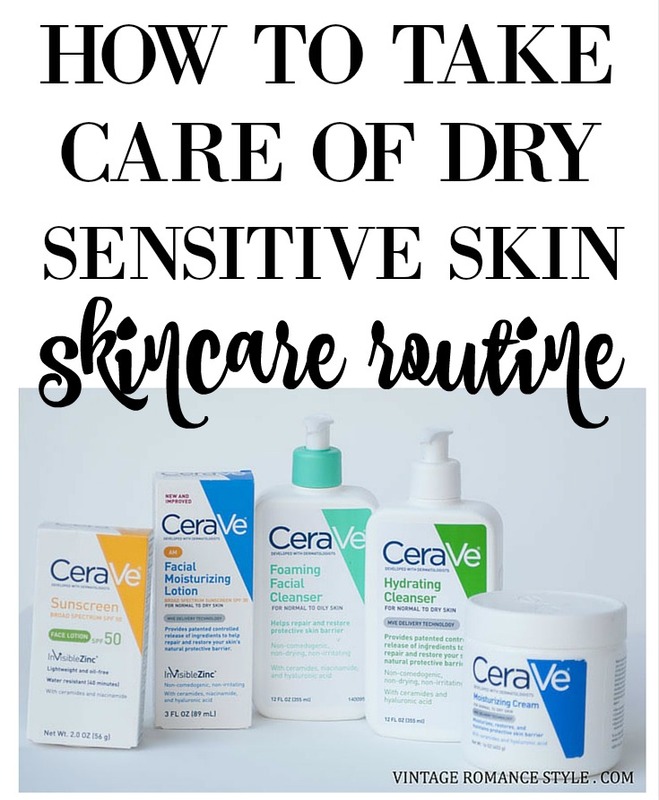 I was really excited to give it all a try because CeraVe helps replenish the vital ceramides healthy skin needs are non-irritating and fragrance-free. Most are also non-comedogenic too. I've always heard that what you do with your skin during your 20's sets you up for the rest of your life. It's so important to protect it from the sun, stay hydrated and have a faithful skincare routine. I wish I would've made it more of a priority sooner but it is better late than never! Thirty here I come! Now is the fun part. Here is my personal routine that I use morning and night. Let's get started so you can start putting face washing and moisturizing day and night on your to do list. It only takes me less than two minutes so if I can do it, so can you! 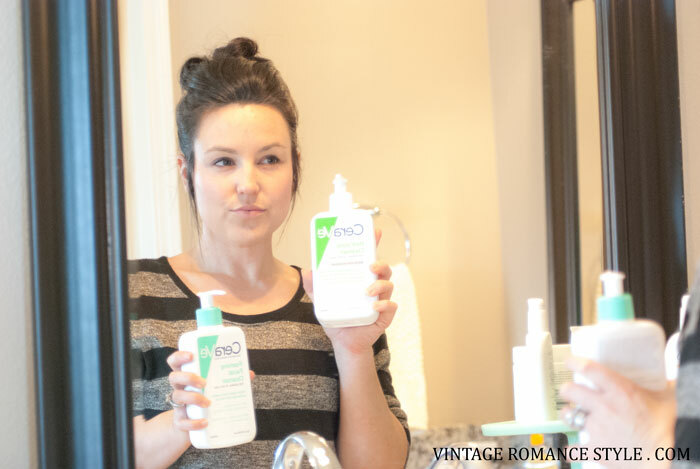 First start out by washing your face with the Foaming Facial cleanser to get all of your makeup removed. Then you are going to "double cleanse" and wash your face again with the Hydrating Cleanser. After you have double washed (once with each product) pat your face dry and apply your AM Facial Moisturizing lotion for the morning. It has SPF 30. If you need a little more for a day at the beach, be sure to apply the Sunscreen Face Lotion. That has SPF 50 and is waterproof for up to 4 hours! Then apply your makeup and you are ready to face the day. Ha get it? Now it's time for the night time routine. Same cleansing but the moisturizer is different. After you have patted dry after double cleansing, apply your CeraVe Moisturizing Cream. It is thicker than the AM lotion and wearing it at night is a great way to hydrate. If you are really dry in the morning because you forgot to wash the night before, you can swap out the AM and apply just a little of the Cream. You have to love those bathroom selfies right? I had just taken off my phone case too and my DLSR was charging. 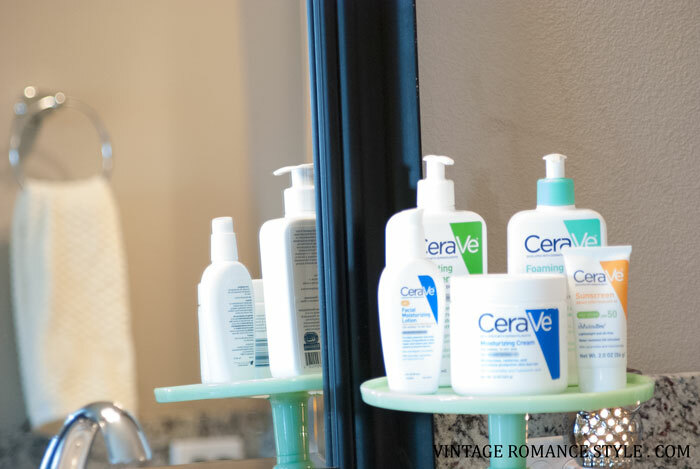 CeraVe has become such a staple in my beauty products that I placed them on a cute cake stand to be easily accessible on the bathroom counter. I've come to learn that the skin naturally contains ceramides. Over time, ceramides become depleted, leading to dry and irritated skin. So that's what's REALLY going on with me! CeraVe helps replenish the vital ceramides healthy skin needs. It penetrates the skin's surface, to help rebuild the skin's protective barrier and lock in moisture all day. Seriously, exactly what I need. 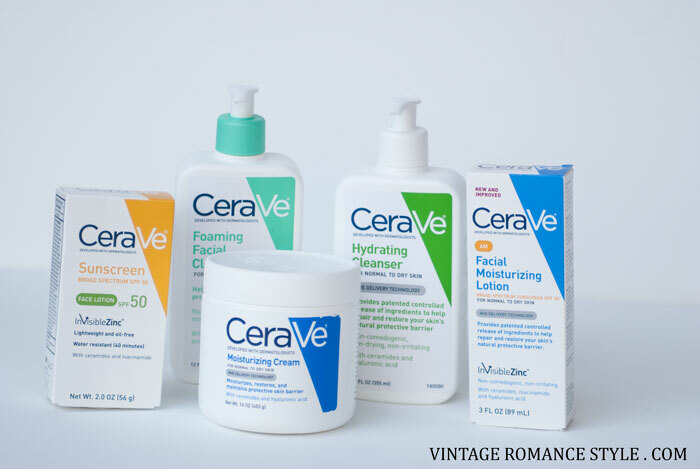 The good news is that if you are wanting to try out my routine and take care of your dry sensitive skin, the CeraVe Hydrating Cleanser, Foaming Facial Cleanser, CeraVe Moisturizing Cream are all on RollBack at Walmart for $9.97 until 5/9/2016. Don't forget to stack the $2 CeraVe Coupon too! You can find CeraVa on Facebook , Twitter and YouTube.